Intricate models of buildings by Le Corbusier, Norman Foster, Peter Zumthor and more are going on show at New York's Columbia University, alongside photographs by James Ewing. The scale models were created by students at Columbia's Graduate School of Architecture, Planning and Preservation (GSAPP) between 1993 and 2004. They represent the Pavillon des Temps Nouveaux by Le Corbusier, Renault Distribution Centre by Norman Foster, Schröder House by Gerrit Rietveld, Bagsværd Church by Jørn Utzon, Samuel Freeman House by Frank Lloyd Wright, and Saint Benedict Chapel by Peter Zumthor. The selection represents a variety of architectural movements, from Rietveld's De Stijl to Foster's High Tech. Ewing captured the six models in 14 photographs that vary dramatically in style. These images will be presented along with the three-dimensional studies for the Stagecraft: Models and Photos exhibition, which opens tomorrow, 9 February 2017, at Columbia's Arthur Ross Architecture Gallery. 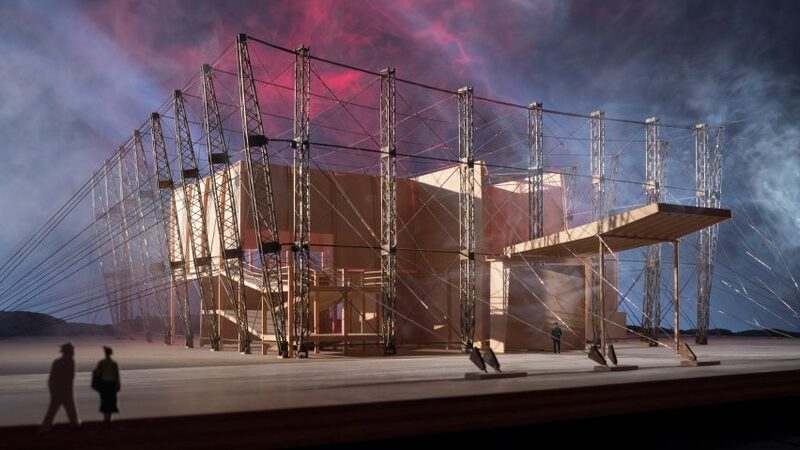 "Stagecraft explores the synergy between architectural models and photography and the renewed relevance of model photography as a wellspring of architectural invention," said GSAPP. To photograph the models, Ewing took over the Ross Gallery for a week to experiment with different lighting, framing and staging techniques. He looked to the work of other architectural photographers, studying the archive of Louis Checkman and exchanging ideas with Jock Pottle. "Rather than realistic constructions that simulate buildings, Ewing's images instead offer a meditation on how the intersection of material and visual modes of representation can prompt new ways of seeing, understanding and talking about architecture," GSAPP said. Stagecraft: Models and Photos is curated by Columbia GSAPP director of exhibitions Irene Sunwoo and assistant director of exhibitions Adam Bandler, and runs until 10 March 2017. A similar exhibition of realistic model photographs is currently on show in New York's Chelsea. The images by American artist James Casebere recreate the colours and atmosphere of buildings by legendary Mexican architect Luis Barragán. Last year, a museum dedicated to architectural models opened in Tokyo – its director selected his five favourites from the collection for Dezeen.